LA SUB UNIDAD EXO-CBX ANUNCIA COMEBACK!!! 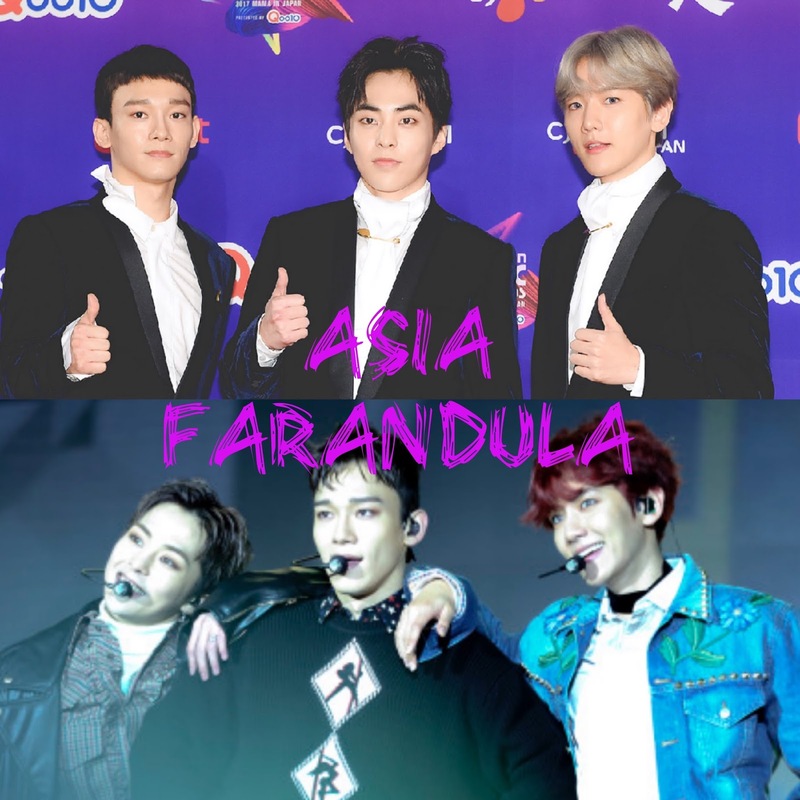 LA SUB UNIDAD EXO CBX DE LA AGRUPACIÓN DE KPOP EXO CONFORMADA POR LAS MEJORES VOCES CHEN, XIUMIN Y BAEKHYUN, HARÁN SU PRIMER COMEBACK, DESPUÉS DE POCO MÁS DE UN AÑO DE HABER DEBUTADO COMO UNA SUB UNIDAD EL PASADO 31 DE OCTUBRE DE 2016 EN COREA DEL SUR Y EL 24 DE MAYO DE 2017 EN JAPON. SU PRIMER MINI ALBUM HEY MAMA!, TUVO DOS ÉXITOS MARCADOS, KACHING! Y HEY MAMA!, DE LOS 5 TRACKS DE ESTE, QUE TRAÍA LAS CANCIONES, CHERISH, JULIET Y RHTHM AFTER SUMMER. EL COMEBACK DE EXO CBX, SERÁ EL PRÓXIMO 10 DE ABRIL DE ESTE AÑO, SEGÚN LA SM ENTERTAINMENT CON SU SEGUNDO MINI ÁLBUM, EL ÁLBUM CONTENDRA 7 NUEVAS CANCIONES DE ACUERDO CON SYNNARA, MÁS 3 CANCIONES EN JAPONÉS, PARA UN TOTAL DE 10 TRACKS. EXO CBX ESTRENO HACE ALGUNOS DÍAS EL PRIMER OST DEL DRAMA EN EMISIÓN DE LA CADENA DE TELEVISIÓN TVN LIVE DE NOMBRE SOMEONE LIKE YOU. LE DESEAMOS TODO EL ÉXITO DEL MUNDO A LA SUB UNIDAD EXO CBX EN SU COMEBACK.